Fr. 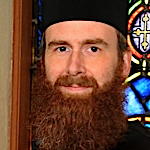 Jeremy Davis is a priest/monk at St. Elijah Antiochian Orthodox Church in Oklahoma City, Oklahoma. He gave this symposium on the subject of Death and the Afterlife. PDF handouts are available for download with each of the four talks.